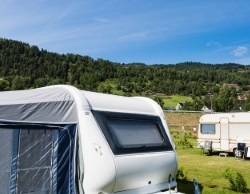 Caravans are prone to damp, especially in the cold winter months. To avoid having future problems with damp in your caravan, get reliable damp inspections in from PGF Caravan Services. For complete peace of mind with your caravan, why not let the experts carry out damp inspections? Don't let the dreaded damp take hold of your caravan, because once it does, you are less likely to be able to remove it or prevent it again. With regular damp inspections throughout you can prevent damp from occurring within your caravan and avoid costly bills in the long run with repairing it. No caravan owner wants to hear that their pride and joy caravan has damp. When damp gets in it can destroy a caravan from the inside out in quick time and can often leave a terrible odour behind in its path. If not detected and treated urgently the damp can result in expensive repairs so we advise damp inspections to avoid costly errors. Get efficient damp inspections for your caravan in by calling 07805 000 612 or 01452 553 288. In the event that there is significant damp found through your inspection, you can get high class repair services from PGF Caravan Services.